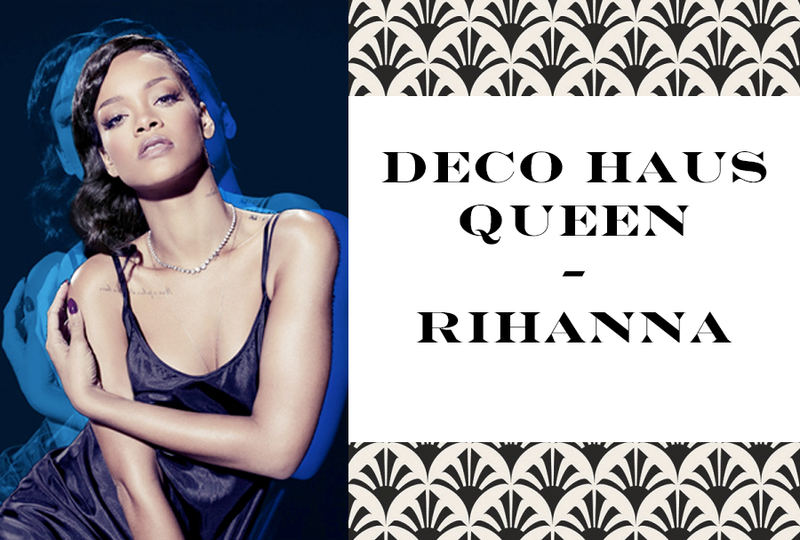 Introducing this week’s Deco Haus Queen of the Week - the iconic Rihanna. Following hot in the footsteps of the infamous Josephine Baker, we have her modern day counterpart Rihanna. Rihanna, just like Miss Baker, knows how to push the boundaries and exceed expectations when it comes to her daring red carpet looks. The young Barbadian singer has risen to insatiable heights of fame ever since her debut hit “Pon De Replay” topped the Billboard charts in 2006. From catchy beats to bare-all dresses, this R&B star is always making headlines. So much so, she was given the “Celebrity Legs of a Goddess” award by Gillette in 2007. With a title like that what do you do? Well, Rihanna reportedly insured her legs for a million dollars. Now that’s celebrity status right there! At every Hollywood event, Rihanna knows how to bring the WOW factor with her favorite deco piece, the slip dress. Deco Haus loves a stunning slip dress (just like Rihanna! ), so check out our top 3 Rihanna looks and how to get them below. With this look you will have to summon all the confidence within you and release your inner Deco queen! Just like Rihanna, channel the empowering femininity of Josephine Baker. 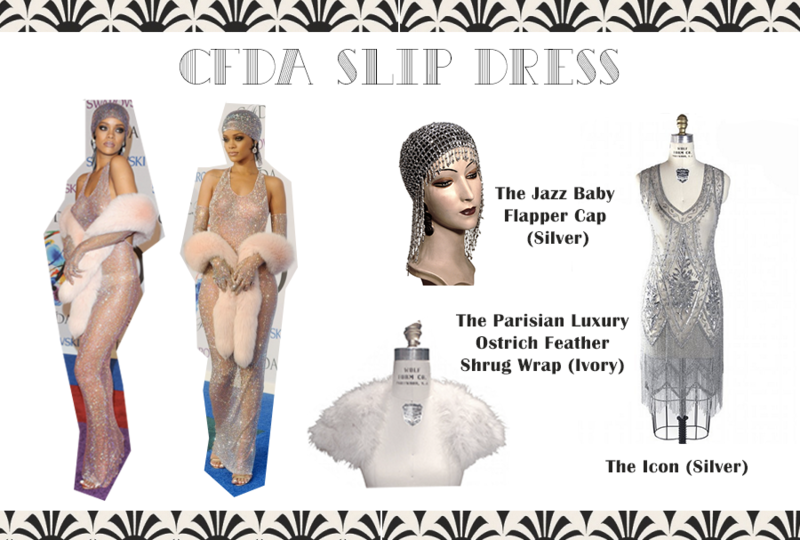 For this red carpet look, we paired The Jazz Baby Flapper Cap (Silver) with the The Parisian Luxury Ostrich Feather Shrug Wrap (Ivory) and The Icon Dress in Silver. No matter the occasion, Rihanna loves pairing a slip dress with sneakers or heels when ever she goes out. It’s a great way to have a modern approach to a nostalgic piece of iconic fashion. Deco Haus' iconic 1930’s Bias Glamour Slip is the key piece to make this look all your own! In Black, Peppermint Pink and Antique White you’ll have this Rihanna everyday outfit all to yourself in no time! Rihanna mixed 1930’s glamour with a 90’s twist at the iHeart radio awards in 2014. This look is quite daring but never fear! The Deco Haus has a few options to fully immerse you in this unique look by the daring starlet. From left to right, The Deco Sunray, The Bijou (Kohl) and The Black Widow.